The iPhone XS Max OLED Display Technology Shoot-Out report by DisplayMate president Dr. Raymond M. Soneira goes into detail about the changes seen in the iPhone XS Max's display compared to the iPhone X. While last year's flagship model was itself praised at the time of launch, the iPhone XS Max is revealed to be better, even though the 22-percent larger screen is more challenging to manufacture. The "Absolute Color Accuracy" of the iPhone XS is described as "truly impressive," achieving a score of 0.8 JNCD (Just Noticeable Color Difference) for the sRGB/Red.09 color gamut, which is used for most consumer content, and 0.8 JNCD again for the wider DCI-P3 color gamut used by 4K TVs and digital cinema. Both results are classed in the report as "visually indistinguishable from perfect," and is likely to be better than most monitors, TVs and other visual output devices on the market. For the high ambient light and brightness testing, the screen is said to be both extremely bright and with low reflectance, making it extremely useful for readability, picture quality, and color accuracy in ambient light. In the case of the iPhone XS Max, it has a record high calibrated 100-percent APL full screen brightness of 660 nits for sRGB and DCI-P3 color gamuts, while the home screen offers 725 nits. Screen reflectance is 4.7 percent, which is close to the lowest ever measured in testing for a smartphone. Combined with the brightness of the screen, it achieved a Contrast Rating for High Ambient Light of between 139 and 164, making it the highest the testing has recorded for a smartphone. The screen has also set or matched a variety of display performance records conducted by the testing program, including the smallest shift in color accuracy with image content APL at 0.4 JNCD, and the smallest brightness variation with viewing angle reported at 25 percent at a 30 degree angle. "The iPhone XS Max is a very impressive top tier smartphone display," the report notes, with Apple continuing to raise the bar for picture quality and color accuracy with its Precision Factory Display Calibration, which helps the display achieve record-setting "Outstanding" levels of quality, as well as setting new records. In all but two of the tests, the iPhone XS Max screen is uniformly consistent in reaching the highest levels, with green (very good to excellent) ratings. The two it misses in are rated yellow (good), with the largest color shift at 30 degrees viewing angle at 6.2JNCD and a 15-percent brightness variation with average picture level, which also applies to many other OLED displays. 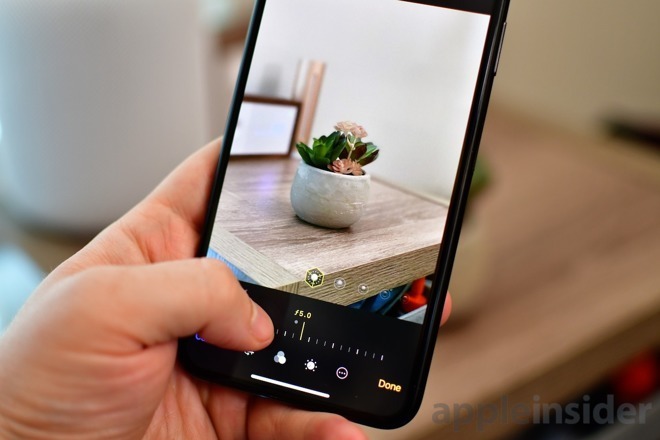 Overall, the performance of the OLED screen has earned the iPhone XS Max the DisplayMate Best Smartphone Display Award, and the highest ever A-plus grade by providing a "consistently better display performance than other competing smartphones." While the iPhone X received similar praise in its evaluation last year, its display was beaten a few months later by the Samsung Galaxy S9.